Photographed fifteen minutes before high tide, on 5 December 2002. 5 December 2002, fifteen minutes before high tide. the farm field seen on the right-hand side of the photograph. 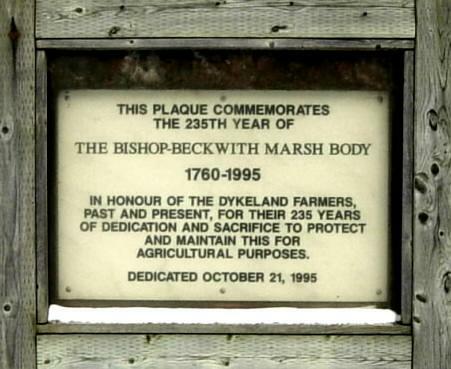 ...The next issue that we would like to talk about is the protection of marshlands and here we want to focus on one particular case, and that is the Bishop-Beckwith Marsh that is behind the Town of Wolfville. Basically there is a group of farmers, who are landowners on that marsh, who have been forced to go as far as the Supreme Court to protect that particular bit of land for agricultural use. That land is part of what is classified as one of the three best agricultural areas in Canada and we think it is a ridiculous situation when a group of farmers have to go to court, at their own expense, to protect land for agricultural use. 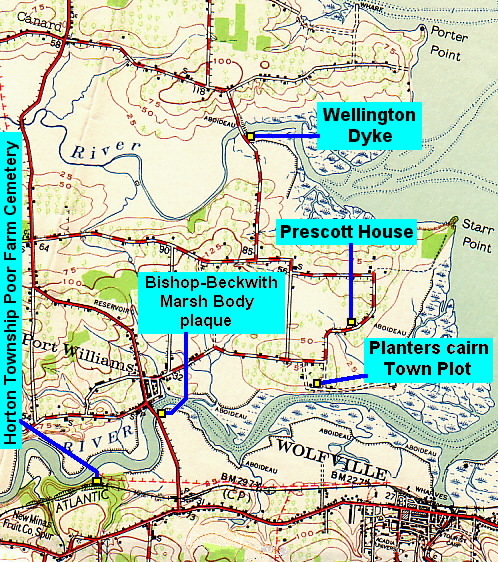 What they are protecting it from is the Town of Wolfville, that would prefer to develop that, zone it commercial, and develop a shopping centre complex out on the marsh. We think that is unacceptable and it is a situation that can be corrected very easily with legislation. Mr. Keith Colwell: What about the problem with the municipalities? They have more control over zonings and what the land can be used for. How can that be addressed with the municipalities individually? I have heard several times in your conversation you are quite concerned about how the municipalities in general work with the – or lack of work – farming industry.